Most of us leave job interviews feeling a little distraught. The experience is nerve-wracking, and you’re stuck just waiting to learn whether you were good enough when it’s over. Usually, the interview was probably fine. But sometimes, someone bombs an interview so badly, an employer has to wonder whether they actually ever wanted the job. How can you avoid this situation? A new CareerBuilder survey asked more than 2,600 hiring and human resource managers about the absolute worst things someone can do when interviewing for a job. Around half — 51% — said they know within the first five minutes of the interview if a candidate is a good fit for a position. So start on a good note, and avoid these faux pas. Two-thirds of managers said catching a candidate lying about something in a job interview is an instant deal breaker. I guess that means if you’re going to lie to a potential employer, make sure you don’t get caught? No, scratch that. I’d recommend honesty, instead. It’s always easier. Oh my goodness… do NOT do this! I’m surprised only 64% of managers called this a deal breaker. You’re at a job interview! Set aside the time, and stay away from your phone. What kind of employee will you be if you can’t make it through half an hour without a distraction? Or, if you prefer flexibility, consider working from home. A whopping 59% of employers said arrogance is a deal breaker. They don’t want to hire you if you already think you’re too good for the job. Employers want to see a team player. Go into your interview with confidence, not arrogance. Negotiate your compensation armed with knowledge, not entitlement. If you really think you’re too good for a company, maybe you should work for yourself. This faux pas might be less obvious than the others, but it’s still a deal breaker for 49% of employers. To avoid wearing the wrong thing, you have to know what’s appropriate for the environment you want to work in. For example, a startup may expect more casual dress than a corporate legacy business. Make sure you understand your industry and the company culture you’re walking into. As a rule of thumb, don’t wear anything your mother would be embarrassed to see you in. Do you tend to blame others — or the weather, traffic, your pets, the printer, or anything else — when work isn’t done? That’s unattractive in a potential employee. Nearly half — 48% — of employers consider lack of accountability a deal breaker. A question about past mistakes or conflicts will probably come up in an interview. If you were at fault, own it. A potential employer wants to know they can count on you to do good work if they hire you. 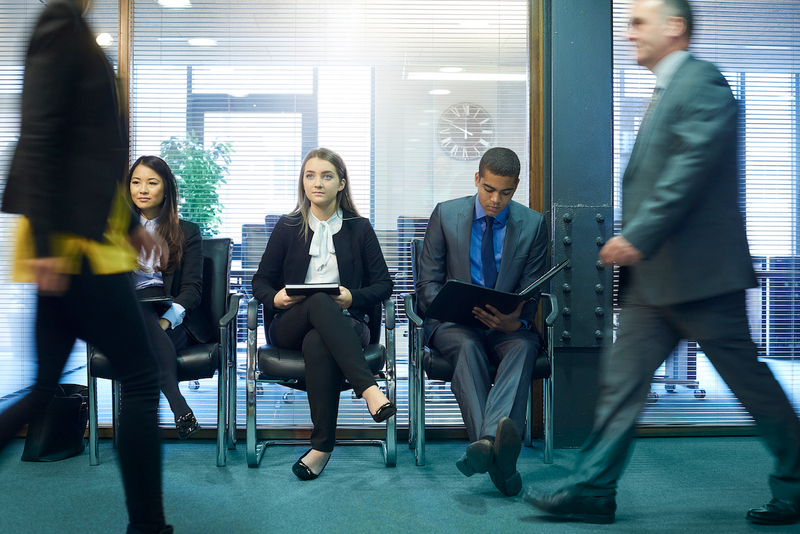 In addition to the big deal-breakers, the survey asked managers to identify the biggest body language mistakes job seekers make during an interview. In addition to your research, come prepared with responses to the most common job interview questions. And no matter what happens, remember you’re probably not as bad as these interview horror stories. Employers shared some of the strangest things they’ve seen people do in job interviews. One candidate asked where the nearest bar was located. A candidate ate a pizza he brought with him — and didn’t offer to share. Someone ate crumbs off the table. One woman put on and took off her sunglasses repeatedly. Don’t worry, Penny Hoarders. We know you’ve got this. Your Turn: What’s the worst thing you’ve ever done in a job interview?